It’s been a while since we’ve had a good design strategy post around here, so I’m excited to dive back into the topic this week with something a lot of you have been asking about: designing websites that are easy to navigate. When we think about the navigation of a website, it’s easy to consider the main menu at the top of the site and let it end there. However, there are so many other important pieces to consider. What happens if someone gets to the end of a page or blog post? How can you ensure people are finding what they came to the site for? And how are you using the website’s layout and features to get readers where your client wants them to go? 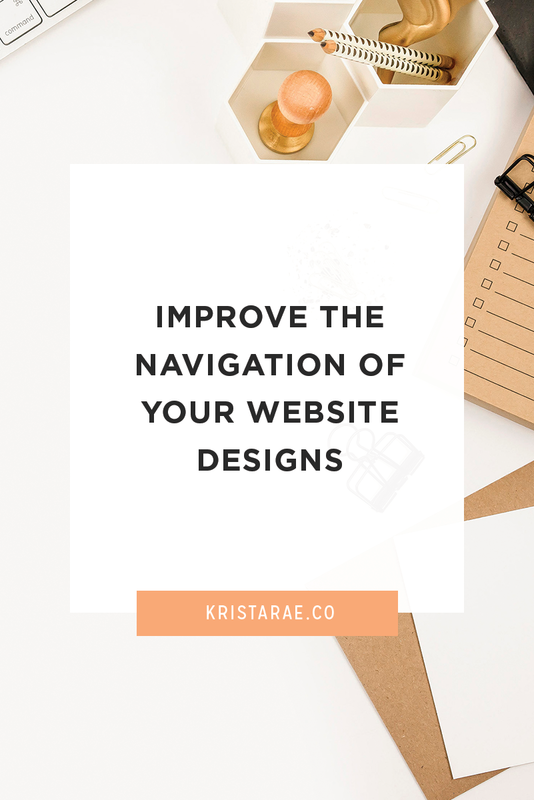 Today, we’ll go over some tips that you can implement in your next project for improving the navigation around your design. Since the main menu of a website is the first thing we tend to think about when it comes to navigation, it seems like a good starting point. While it may seem simple, this tends to be an area that’s difficult to make strategic. I say that because clients want aaaaaall of their links displayed in the main menu and don’t think of it as a place that’s important to narrow down. Because of this, it might be an area of the site where you end up doing a little extra education for your clients. If they send you a list of 10 links they want listed in their menu, it’s up to you to include the important ones and then gently explain why you did it that way and how the other pages should be included elsewhere (or not). And sure, some clients will come back and insist you do it their way, but at least you know you did your best to make the website as strategic as possible. Think about what links should really be included. While things like a Blog, Services, and About page are important for most businesses, having things like Resources or a community page are things that can generally be left out. That’s not to say that they aren’t important, but they’re either things that don’t get your client’s audience closer to the actions they should be taking or they’re better linked in places like the About page, for example. After you know which links to include in the menu, consider the ordering. Think of things both in order of priority and what makes sense for website visitors. For example, as a developer, I find it important to build a lot of trust to make people comfortable enough to hire me, so I surround a link to my Services with links to my portfolio and testimonials. One thing that surprises people is how far back in my menu I include my blog, but I’d rather have people clicking around to check out my services and everyone knows to scan through the menu quickly to look for a Blog link anyway. All-in-all, avoid randomly throwing links into the main navigation menu and put some thought into the final decision you make. There’s not a whole lot more frustrating when you visit a website than not being able to find what you came for. For example, maybe you’re searching for information on a certain product or service or want to read blog posts on a certain topic. Those things certainly shouldn’t be difficult to do. Luckily, there are a few simple things you can consider in your design to make this type of navigation nice and easy. First, make things that people will commonly visit the website for extremely easy to find. For example, if your client writes blog content about specific categories, make those easy to navigate through on the homepage or on the Blog itself. And I make mine easy to choose from on my blog, which was a great suggestion from Nevica! You can do something very similar for products, services, or even freebies. Don’t make it difficult for people to find the things they’re coming to your client’s website for. 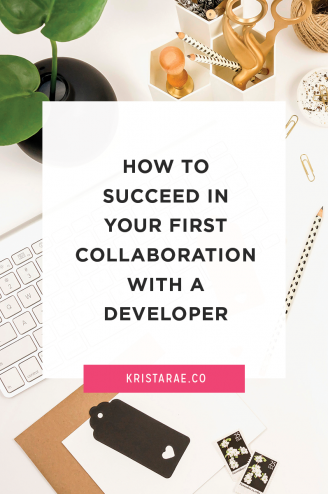 Put the homepage, website header, sidebar, and footer to good use. And last, pleeeease include a search bar. I’ve been surprised lately to start running across more and more websites without a search bar. This means, that if someone comes to your client’s site for something specific, they either have to know the exact URL, site and look through pages of blog posts, or hope that a Google search will help them out. It’s silly when you think about just how easy it is to include a search bar in the website’s sidebar or footer. Another important way to make sure website visitors are easily making their way through a website is to include links to relevant pages in the content of other pages. For example, if your client is talking about their shop on the About page, link to that shop. 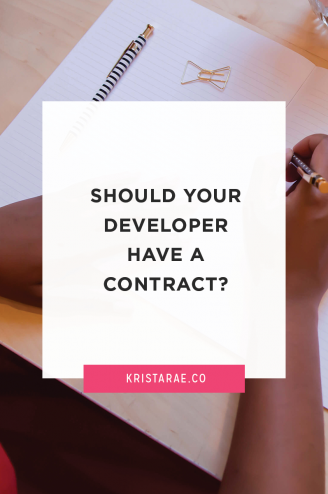 This might seem like one where it’s up to your client to take care of, and you’re partially right. 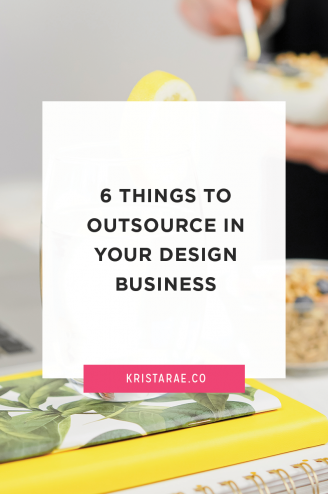 But even if this isn’t something you want to take responsibility for, help your client understand the importance of it and give them some tips to get started. What happens at the bottom of a page or post? The next thing to think about is what a website visitor should do once they reach the bottom of a page or blog post. Ideally, every single page and post would have a call-to-action, but what if your client forgets or the visitors aren’t interested in the specific option they were given? As a kind of “catch all” here, make sure the footer you design for the website is strategic and gives people ways to continue throughout the site. Something simple like the main navigation repeated or slightly edited is a great option, along with your client’s most important call-to-action. As for blog posts, you have a few more options here. My personal favorite is to include related posts to make it easy for visitors to continue making their way through great content. 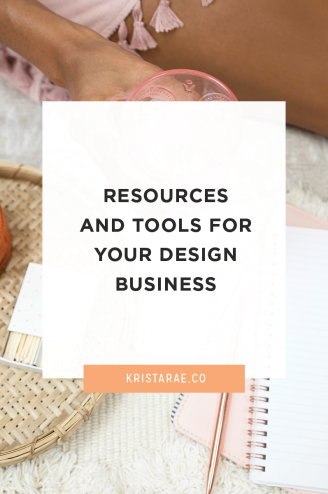 How do you make your designs easy to navigate? Think back to your last design project and consider how you made the site easy to navigate. All-in-all, make it easy for visitors to make their way through a site by providing options that make sense based on the current page they’re viewing. For more tips on strategic website design, grab my checklist with the 10 steps for designing a strategic and effective website.